BULLA EN EL BARRIO is a group that aims to share the traditions, experiences, and lives of the Colombian cantadoras from the regions of Uraba,Cordoba,Bolivar,and Atlantico. 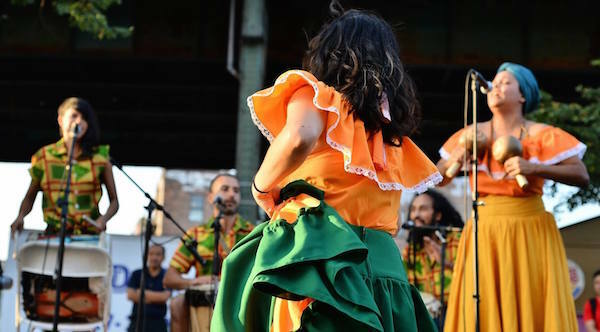 Bulla is an effort to open a space in New york to explore at a deeper level the songs, and the dances that are part of these traditions. And that from its early days have been a tool for women to express themselves. GRUPO BULLA EN EL BARRIO at Terraza 7 on Saturday November 14th, 2015 at 10:30 pm. No Replies to "BULLA EN EL BARRIO"